One product that has taken a hot spot among home appliances is the tankless water heater. This is in part attributed to the great technological development that this appliance has achieved, which helps the user on the money saving front. They are designed with the criteria of meeting customer product expectations which make them compact, convenient, comfortable to use, and energy efficient. 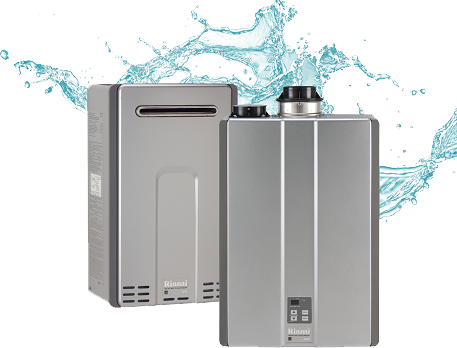 Whether you are building a new home, retrofitting a new one, or just thinking to upgrade the water heating system, take the time to consider getting a tankless water heater. They come without the storage tank inside the water heater, so the water is heated instantly. Below you can view the result of our research on tankless water heaters that are available on the market in 2019. The comparison chart and tankless water heater reviews will help you choose the best tankless water heater for your home. You might also have questions about how they work, their efficiency, what to look for when buying one, and more. All the answers to these questions you can find at the end of the reviews. One of the top rated tankless water heaters is the Stiebel Eltron Tempra 24. It is designed for whole house residential water heating with multiple point-of-use applications. It’s an electrical model that includes quite a few nifty features. One of its main benefits is the Advanced Flow Control, which contributes to making it the most efficient tankless water heater. This technology works by making automatic adjustments to the water flow, thus eliminating temperature fluctuations. So what you get is a consistently satisfying experience every time. The digital temperature control provides an accurate and constant temperature level between 86F and 140F for all day comfort. When making temperature adjustments, you can view it on the visual display. 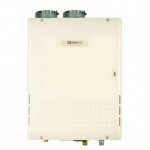 This tankless water heater is suitable for colder areas and 2-3 bath homes. Its power is enough to provide hot water for two showers in simultaneous use. 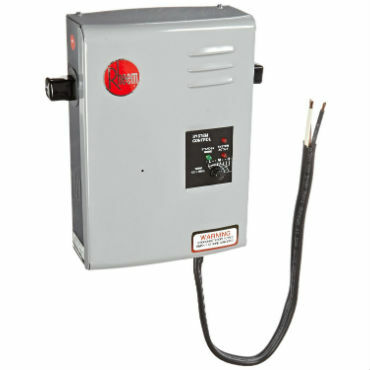 The unit has 2 outputs for 208 Volts and 240 Volts, providing power between 18 kW to 24 kW. The flow rate is based on temperature. At 55 degrees, the flow rate will be 3 GPM. At 65 degrees, it is 2 GPM. Being a point of use tankless water heater, Stiebel Eltron Tempra 24 takes up much less space than a conventional type of hot water heater. It’s designed with a coated steel encasing, making it sturdy and sleek looking. The heater can be used for both commercial and residential use. The compact size of this Stiebel on-demand water heater provides convenience of the installation almost anywhere you want. The installation doesn’t require any pressure relief valves or venting, making the whole process a lot easier and quicker to complete. 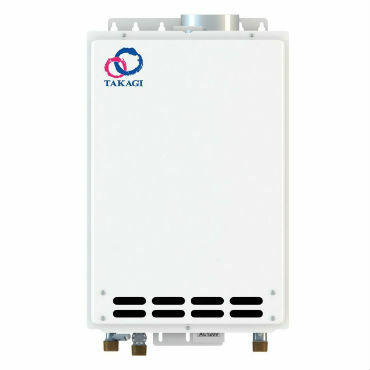 Another good tankless heater comes from the Takagi brand. 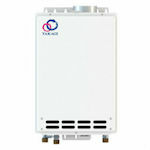 T-KJr2-IN-NG model is the smallest, most popular and best rated tankless water heater in the Takagi manufacturing line. The benefits that make it stand out include its sturdy design, reliable performance, and impeccable features. Though small, it’s still powerful enough to provide hot water for a household with 1-2 bathrooms, or a family of five or less. 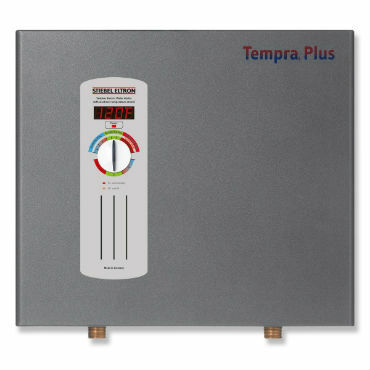 Just like Tempra 24 Plus, the Takagi T-KJr2-IN-NG residential tankless water heater also provides consistent water temperature with the use of inlet and outlet thermistors. A thermistor is a kind of resistor that constantly monitors temperature and reacts to its changes. This on demand water heater is also cost effective. As it works on natural gas, it allows saving on the electrical bills. The energy factor for the appliance is rated at 0.81-0.83. Additionally, an air-fuel ratio sensor monitors the water heater’s efficiency. The benefit of this is the reduction of harmful emissions. The gas input of the Takagi T-KJr2-IN-NG is in the range between 19,500 and 140,000 BTUs. To ensure the safe use of the unit, the Takagi models are designed with a number of features. They include freeze, overheat, and surge protection. There are also troubleshooting and diagnostic codes. For safe and consistent operation, the instantaneous water heater requires proper installation. With this model, the best option would be to seek professional help. Also, to have the warranty, it requires the installation to be done by a registered professional. The installation requires venting to the outdoors with two options of either venting horizontally or vertically. The ¾ water and gas connections allow higher flow rates. Ecosmart ECO 27 also makes a top choice of many and the best tankless water heater from the Ecosmart brand. It holds one of the top spots for good reason. Equipped with Smart Technology, the Ecosmart ECO 27 provides true power while at the same time providing enough water volume, even during cold winter months. The minimum water flow that ECO 27 on demand water heater can put out is 0.25 GPM. The maximum flow rate is 6 to 7 GPM, which is sufficient enough to quickly fill a bathtub. The digital temperature control allows making adjustments in 1-degree increments and up to a maximum of 140 degrees. Another feature that makes ECO 27 stand out is its patented self-modulating technology, which allows to save up on water heating costs. According to manufacturer’s claims, it can help you save up to 60% on water heating costs. The system works by automatically adjusting the power based on the amount of electricity that would be required to heat the water. The motherboard inside this on demand water heater has sensors that monitor the incoming water pressure and temperature. As you choose the output setting, the processor determines how many heating modules are needed to produce the temperature you set while using the maximum flow rate possible. If you increase the water use, the water heater increases the number of heating units to keep the temperature steady. This on demand water heater boasts 99.8 percent efficiency rating. So you have both energy saving and on demand water in sufficient amounts. 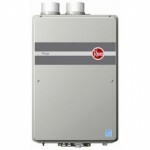 Rheem RTGH-95DVLN is one of the top tankless water heaters from the Rheem brand. It runs on natural gas and provides a continuous supply of hot water. It’s a simple to use unit that comes with a remote control panel where you can set the desired output water temperature. On the digital display, you can view the temperature and maintenance codes. The package also includes 10 feet of thermostat wire. The condensing heat exchanger is made of stainless steel, which works to provide 94 percent of energy efficiency. This model has the Energy Star rating, which further ensures its efficiency. To increase efficiency even more and provide safety of the water heater, it is equipped with intelligent electronic controls. This on demand water heater provides some of the highest performance, operating at 199,000 BTUs. So it can be used at bigger sized residential houses, and also operating well in colder climates. The temperature range for the Rheem RTGH-95DVLN is between 85 and 140 degrees. The minimum activation rate is 0.26 GPM, while the maximum water flow rate is 9.5 GPM. The on demand water heater can be linked up to 20 unit manifold installations using the optional either MICS-180 or MIC-180 manifold control assembly. The unit comes with an EZ-link cable which allows connecting two tankless hot water heaters together and operating them as one. Other features that could be added to benefits of this heater include a self-diagnostic system, built-in electric blower, freeze and overheat protection, high altitude capability, and an environmentally friendly Low NOx burner. 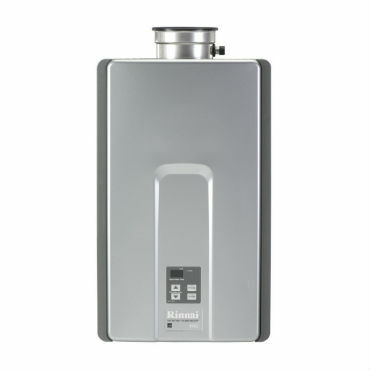 Rinnai RL75iN is one more instantaneous water heater that we would recommend considering. It is also designed with technology that will allow you to save on energy in comparison to energy costs of conventional water heaters. Its sleek, yet compact contemporary design allows fitting the unit into almost any space available. The casing is done in silver finish and includes a sculpted cover. Running on natural gas, it doesn’t have any electrical lines running or pipes and tubes hanging. Rinnai RL75iN only requires a single wall penetration to let the vent out. Rinnai RL75iN on demand water heater also performs well on the energy efficiency front. It is certified with the Energy Star and has an energy efficiency factor of 0.82. It’s also an eco-friendly product with its burner NOx emissions meeting the standards of Texas and California. With the BTU power output ranging between 10,300 and 180,000 BTUs, this model is perfect for two to three bathroom homes. This tankless water heater is also equipped with smart technology to enhance its efficiency and performance. This also includes a digital remote controller that is equipped with error code indicator. So you will be at once notified if there are any issues that need immediate attention. The digital controller allows setting the temperature in the range of 98 to 140 degrees. The Rinnai product also comes with a good warranty coverage. It includes 1 year on residential installation, 5 years on parts, and 12 years on heat exchanger. 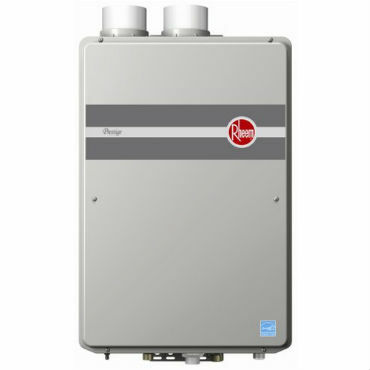 One more popular tankless water heater from the renowned Rheem brand is the RTG-64XLN model. This product comes from the Rheem RTG series of ultra low burner NOx emissions and medium efficiency on demand water heaters. The efficiency is ensured by GAMA certification. Like the previously mentioned Rheem model, the RTG-64XLN can also be linked up to 20 unit manifold installations. For that, you will need to use the optional MIC-180 or the MICS-180 manifold control assembly. Also like the other model, this tankless water heater includes the EZ-link cable for a situation if you have a high demand for water. With the EZ-link cable, you can connect two instantaneous water heater units and have them operating as one. 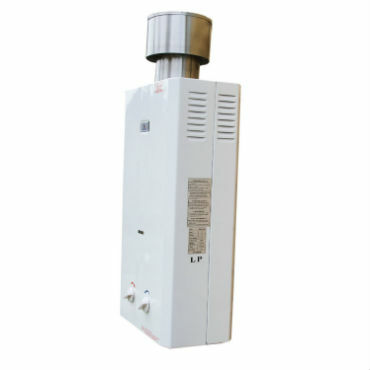 This unit is suitable for both indoor and outdoor water heating solutions. The package of the on demand water heater includes a UMC-117 remote control giving you convenience in adjusting settings and 10 feet of thermostat wire. The minimum flow rate for RTG-64XLN is 0.26 GPM with the maximum going up to 6.8 GPM at 35-degree rise. The temperature range in which you can select the desired level is between 100 and 140 degrees. As for the BTU input, its range is between 11,000 and 140,000 BTUs. The intelligent electronic controls are easy to use and help to choose the settings for more efficient operation. Hot start programming on this tankless water heater provides a continuous supply of hot water with no fluctuations. On the digital display, you can control the temperature setting. It will also notify you if there are any issues using maintenance codes. 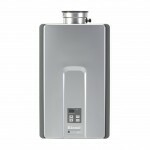 If you have found the above mentioned top 6 tankless water heaters beyond your budget, below we have also prepared comparison and reviews of top 6 more affordable options. All these models are under the 200 dollar range. Some of them are designed with lower capacity and are suitable for portable use. Eccotemp L5 on demand water heater makes an ideal option for low use requirements, such as outdoor water use. 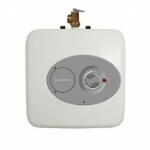 It’s the best selling tankless water heater among the portable options. You can take it with you anywhere. On your camping trips, to the beach, family vacations, or just use it at home. 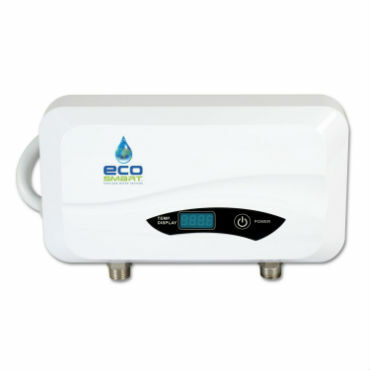 The Eccotemp L5 uses liquid propane for fuel, which in comparison to electric models uses less energy and heats the water quicker. Before the operation, you need to hook the water heater up to a propane cylinder that is filled with the liquid propane. All the fittings and adapters for setting up the water heater are included in the package. After connecting the propane tank, connect the water heater to a standard water hose nozzle, and the unit is ready for operation. The automatic ignition turns on the burners in the heater at once after you turn the water on. However, it does require batteries to ignite the flames. As soon as you turn the tap on, you will have hot running water. After this, you can set the desired temperature. The heater provides a good temperature range, which is between 80 and 140 degrees. In addition to the temperature, you can also select the water pressure. The flow rate starts at 0.5 gallons per minute and goes to a maximum of 1.4 gallons per minute. It does need 20-80 psi of water pressure. Rheem RTE 13 is also designed to meet the needs of most customers with the compact yet powerful design. This little unit is designed for point-of-use applications, providing hot water on demand to a faucet, shower or shower that is located within a short distance of the water heater. It can also be used as a whole house unit, but only in certain circumstances as it doesn’t have that much power. This model features a really low flow activation technology, requiring only 0.4 GPM to activate it. It might not be enough to wash your hands, but it will keep the pipes from freezing. The maximum water flow, on the other hand, can go up to 4 gallons per minute. Depending on the fixtures in your home, this will allow running water in more than one location in your house. The optimum performance of this on demand water heater is dependable on the temperature of the water that is coming into the water heater. With colder temperature, expect the water flow to be lower. For example, for Rheem RTE 13, at 50-degree rise from 55 to 105 degrees, the water flow will be around 1.75 GPM. This is enough for a bathroom or kitchen sink. But for a shower head, you might need a higher water flow. The energy factor for this model is rated at 0.82. The energy efficiency is also improved with the help of modulating heat exchanger. The Energy Star certification backs up its efficiency. As an eco-friendly unit, it works without venting, so there are greenhouse gasses eliminating from the operation. 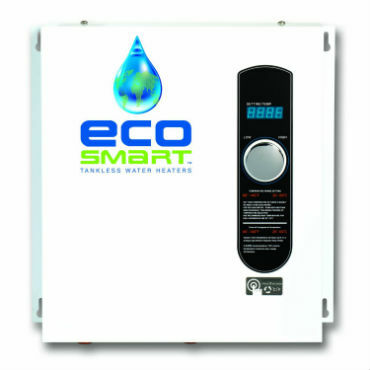 Another great option for outdoor water heating application is the Eccotemp L10. 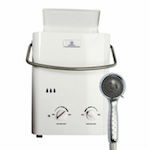 Its portable design makes it available for use wherever you need hot water. It can be at your RV, summer cottage, cabin, camper, or any other off-grid location. It’s similar in design to the previously mentioned Eccotemp L5. Weighing only 18 pounds, it can easily be transported. And, having a compact size, allows fitting it into almost any outdoor location. The Eccotemp L10 requires permanent installation, for which it provides standard ½ inch NPT fittings. So you can easily plumb the unit into standard fixtures. The water heater can then be connected to a water hose and a 20-pound propane tank. The ignition is done by D-cell batteries. The tank does not come with the L10. A full 20-pound tank will give you about 12 hours of continuous operation. There are multiple spray settings that you can adjust to have the water pressure that you want. The maximum water flow that you can expect the L10 to deliver is up to 2.6 GPM with the water temperature range of 80 to 165 degrees. With this tankless water heater, you can have 1 or 2 applications in simultaneous use. The water temperature controls for the L10 model are manual. To prevent fuel wastage the water heater is equipped with a safety feature that automatically shuts the unit off after 20 minutes of operation. 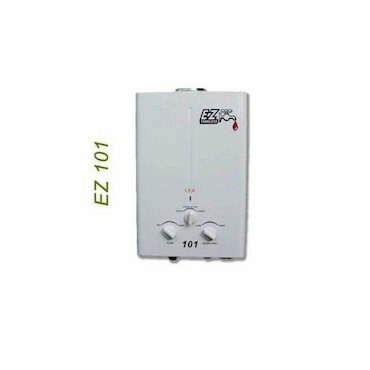 One more great affordable option of a tankless water heater is the EZ 101. This model offers the benefits of environmentally friendly features, energy-efficiency, reliable performance, and the convenience of a compact design. The design of the EZ 101 is aesthetically pleasing. The installation is simple and convenient and allows unobtrusive placement within living and working spaces. It’s not suitable for indoor use, however, can be used in many outdoor applications, such as RVs, campsites, lake houses, and other. EZ 101 tankless hot water heater operates on propane with no electricity required. There’s automatic ignition powered by batteries. With 42,000 BTUs, the model is rated 85 percent for thermal efficiency. This on demand water heater is capable of delivering only up to 1.6 GPM, which is a quite low water flow but should be enough for outdoor use. Similar Eccotemp L10, the EZ 101 can also use the garden hose inlet water supply. The unit weighs just 14 pounds, so it’s a great option if you are considering it for portable use as it can be easily installed and removed at any time. This model is also ideal for semi-permanent installations. The operation of this water heating system is fully automatic. Before use, you can adjust the manual controls to set the desired temperature level. Then you just turn on the water spigot or your shower, and within seconds you will be able to enjoy hot running water. 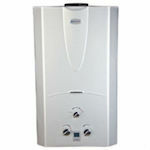 Another great option to consider if you’re looking for the best instant hot water heater is the Marey Power Gas 10L. It is a great solution for energy and water saving. Like the rest of the mentioned more affordable tankless water heater options, this model also comes in a compact size. So if you need space saving, this unit will fit into just about anywhere. When buying this product, you have two options of fuel that include natural gas and propane. No electricity is required to get this unit running. It only uses electric pulse ignition, powered by batteries. The heater is activated once you turn on the water. It features an energy-saving design, which makes the unit operate only when the water in the faucet is turned on. While it’s off, no gas or propane is used. As you turn the water on, the water heater ignites, and in seconds heats the water up. The Marey Power Gas 10L tankless hot water heater can work even in low water pressure, as low as 3.6 psi and up to 140 psi. It also provides a good water output, enough to have good pressure in the shower. The maximum water output is 3.1 gallons per minute. To control the unit’s operation there are easy to use gas and water control knobs. A digital temperature display shows you the temperature setting you’ve chosen. The safety features include a rust-proof design for preventing leakage, gas pressure and anti-combustion protection. A flue duct type is used to exhaust discharge. Ecosmart POU 6 instantaneous hot water heater is also one of the better water heating options if you will be using it for just one point of use. It can be installed as in the house, as well in your RV, boat or restaurant. As it is designed for point of use, it can easily be installed in the cabinet under the sink. In a colder climate, this small unit will have enough power to heat only one sink. However, if you live in a warmer climate, it might be enough to provide hot water for bathroom sinks. You can use it for multiple applications, but it has the maximum water flow of only 1 gallon per minute, with the activation flow being 0.25 GPM. With this maximum flow, this tankless water heating system can heat the inlet water temperature from 72 to 105 degrees. If in a colder climate the inlet water temperature is only 45 degrees, the water heater will emit only 0.5 GPM to reach the 105 degrees. The system is flow controlled, so depending on the flow rate the system will adjust the water temperature. Thermal auto protection maintains safe of operation of the unit. 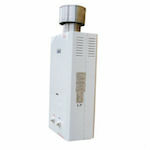 Tankless water heaters are also sometimes called on-demand and continuous flow water heaters. They’ve been quite popular in Europe and Japan for some time, but only in last years have been gaining popularity in the States as well. Unlike conventional water heaters, tankless comes with no storage tank for the hot water. Instead, it instantly heats the water as it flows through the device. So you never run out of hot water and at any time can enjoy a continuous hot water flow. To understand better how a tankless water heater works, it’s helpful understanding the anatomy of this device. Below are some of the components that make the construction of an instantaneous water heater. Heating elements are used primarily in electric tankless water heaters and they are the components that are responsible for the actual heating of the water. 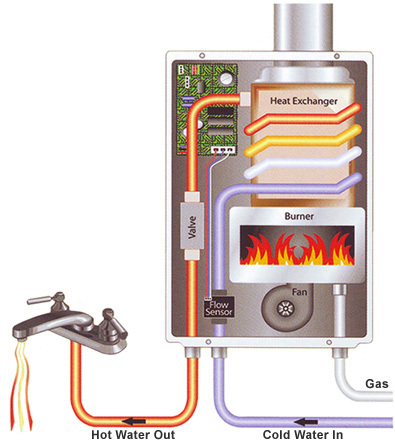 Tankless hot water systems use heating elements to convert electrical energy into heat. The heating elements act as electronic resistors. When the elements come in direct contact with the water, the elements transfer the heat directly into the flow. These electric elements are activated with the start of the water flow and once the flow stops they automatically turn off. The heating elements are coiled and have a cylindrical shape. Typically, the elements are encased in some form of metal heat exchanger. The most common is copper due to its ease of fabrication and higher thermal conductivity. The watts rating for heating elements will vary from the heater to heater. The higher the rating, the more heating capacity the device has. A heat exchanger acts as a sealed vessel for the heating elements and through which the water flows as it gets heated from cold to hot. The typical construction of the heat exchanger comprises of two or more cylinders that house the heating elements and which are welded together with tubes. The tubes allow the water to pass from one heating element to the other. A flow switch is a sensor that is designed to detect when you turn on the water. There are different types of a flow switch that a tankless water heater can use. It can be either magnetic, centrifugal, rotary, or fan based. The purpose of the flow switch is to have the heater working only when the hot water is needed. So when you turn on the faucet in your bathroom or kitchen sink, or you turn on the shower, the sensor switches the water heater into operation. The more advanced point of use tankless water heaters are designed with more energy saving features and one of them is the temperature sensor. It is used to determine the temperature of the water flow that is incoming and outgoing from the water heater. These temperatures are then sent the control board of the device, which in determines the amount of power that is needed for the heating elements to be able to heat the water flow to the specified temperature setting. The brains of the water heater operation are based on the control board. It uses the calculations based on different factors, such as the temperature of the incoming water, the specified by the user temperature setting, and the water flow. Based on these calculations, the control board coordinates the performance of the heater. Continuous water heaters work by avoiding standby heat loss, thus claim that they are energy efficient. There are several different types of tankless water heaters but they basically work the same. As you turn on the water, the flow of the cold water enters the unit and activates the switch in the device. The cold water flows through the heat exchanger, which can be using a gas fired burner (in the case of natural gas and propane tankless water heaters) or electric resistance heating coils (in the case of the electric tankless water heater). As the water flows through the heat exchanger, it instantly gets heated by the coils and the outgoing water from the water heater comes out hot. There are basically only three types of tankless water heaters: whole house, point of use and portable. However, they can also be categorized according to the type of fuel they use. According to this, they can also be electric, propane, natural gas or hybrid tankless water heaters. Whole house units are designed for a higher capacity of the flow rate, so they can handle hot water demand from more than one fixture at a time. The flow rate they offer can sometimes be as high as 9.5 GPM. With such a high flow rate, you can have two shower fixtures working at the same time, or have the dishwasher, bathroom and kitchen sink running simultaneously. Different fixtures typically use different amounts of water. So when choosing your whole house tankless water heater, you will first need to determine the number and types of fixtures you will be using it for. But more on that later in this article. The point of use instant water boilers come in much smaller sizes and so are capable of heating only one or maximum two outlets at one time. So they are usually dedicated to just one sink, faucet, or one shower. Their relatively small size makes it possible to conveniently fit them under the sink in the cabinet or the closet. As they are usually installed very close to the outlet, there’s barely any lag time which is the amount of time that takes the water to reach from the water heater to the faucet. 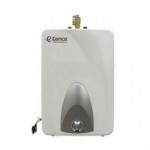 The point of use tankless water heaters are also generally much more affordable compared to the whole house units. 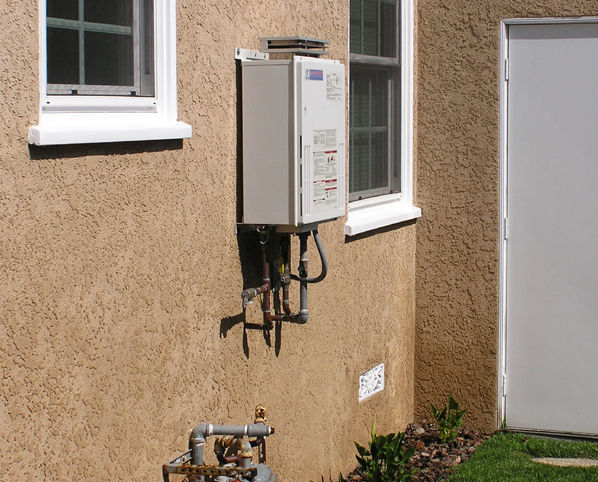 This type of tankless water heaters is generally designed for outdoor use. You can install it at your campsite, on a boat, RV, or other such location. Typically, these units are smaller in size and less in weight as they are for portability and ability to being transferred from one place to another. Some also include the shower hose and the shower head in the package. Most of them work on liquid propane and use battery powered ignition. They are highly efficient and ideal for installations for providing hot water to larger areas. They can be installed for use in just one application or for multiple applications with a supply of hot water for the entire house. This type will need a 110/220 volt outlet to provide it power for operation. Optionally, you can tie it directly to the power supply line. The output of hot water provided by the electric tankless water heater is lower in compared to one that uses natural gas as fuel. However, it still can handle water demand from multiple sources. Propane is also a good fuel solution, but it’s more common in water heaters for outdoor applications. It can be used for remote locations or short-term installations. Residential tankless or how some call them, on demand water heaters are in general having a good reception from the users. They offer many benefits and features if you compare them to the conventional water heating systems. First of all, they have the advantage of a more cost-effective, durable, and energy efficient tankless water heater design. To get a more clear understanding of what they have to offer and why you should consider going tankless read more on its benefits below. Efficient. The main benefit of tankless models is their higher energy efficiency compared to traditional water heaters. Consuming less power during operation, they are more cost-effective. As there’s no tank and no need to have the heater constantly running to keep the water in the tank at a certain temperature level, it doesn’t consume that much electricity. Energy saving. The on demand technology that all the endless hot water heater units use has the heater working simultaneously with the hot water valve. As you turn on the hot water valve, the system starts heating, and as you turn the hot water valve, the system shuts off as well. The result is a lot of energy saving. It considerably can cut down on your electricity bill by you saving up to 60 percent on the heating costs. Eco-friendly. Being in the standby mode most of the time, tankless water heaters use as little energy as possible, reducing the harmful effects on the environment. Electric models don’t have any burners that emit greenhouse gasses, while the gas models emit as little as possible. The newer devices are designed with advanced technologies that reduce the emissions into the atmosphere. The construction also consists of eco-friendly components, further reducing the harm to the environment. Safe to use. Conventional water heating systems with time tend to build up rust inside the tanks that hold water. On a longer run, these can become harmful and dangerous contaminants in the water. As tankless have no tanks, there’s no place for the rust and scale to build up in. So the water the device generates will constantly be fresh and clean. Durability. As we have mentioned above, there’s no rust or scale building up inside the unit. This results in longer life of the tankless water heater. The high quality, eco-friendly components are designed for reliability. If something does ever go wrong with the unit, the parts are affordable to replace. Also, the tankless design eliminates potential flooding from the tank like conventional models. Compact size. Having no big tank to install along with them, tankless take up real little space. Their compact size fits easily under the sink, inside a closet, attic, or in a crawl space. If your model is designed for the outdoor use, you can even install on the outside. A constant supply of hot water. Unlike with a conventional water heater that stores a certain amount of hot water at a time that you can run out of, the tankless hot water systems provide a constant flow of hot water on demand. Also, with a conventional model you have to wait till the water gets heated, a tankless unit provides hot water on demand within seconds of you turning the tap. There’s a vast selection of tankless water heaters, which can make it quite difficult to understand which model would be the best for your home. If you are on the market looking for that ideal mode, but not quite sure what to look for, here are some tips that will guide you. A tankless hot water heater can have different applications. It can function either as a whole house unit, outdoor or as a point of use water heater. If you will have just a single point application, where you will be using the unit to provide hot water for just one fixture, then you should look for the point of use models. On the other hand, if the installed water heater will be used to serve the entire house, then you should look for a whole house model. These devices will have higher flow rate and more power to provide enough water pressure for several fixtures being in use at a time. One more option is a portable tankless water heater, which is your go to type if you will be using it in the outdoors such as campsites, boats, etc. That’s the second important factor to consider when choosing a high efficiency tankless water heater. As we have already mentioned, there are three types of fuel to choose from: gas, propane, and electric. If you choose the electric type, there are a few more considerations to include. Check what voltage the device can accommodate. Also, read the specifications what are the amp draw requirements for the water heater you have chosen. Before buying, you need to be sure that you can support those electrical demands. Another requirement is the circuit breaker. Ensure that the continuous hot water heater has one or more circuits to support it. 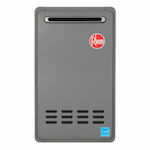 Before buying a gas tankless water heater, ensure that your current gas line meets the requirements of the appliance. Gas fired units required venting with the installation of the water heater. So consider the venting requirements and check your local building code to ensure that the installation needs will be completely met. Some of the residential tankless water heaters come with a gas venting kit. When installing the unit, considering all the necessary clearances and make sure that there is ample access to air for combustion. Keep in mind, that even if you choose a gas fueled model, it will still need some electrical connections to power the sensors and switches. So make sure that these connections also meet the voltage and amperage requirements. There are 3 main factors to consider before choosing the capacity that you need: number of applications, incoming water temperature, and maximum desired flow rate. Start by determining the number of fixtures you expect to be using simultaneously. You need this in order to calculate the total flow rate to cover your hot water demand. Below is a chart with average flow rates for typical household hot water applications. To get the total flow rate for your household, add up the flow rates of the fixtures. When choosing the water heater, make sure that it meets those flow rate demands. One you have determined the maximum flow rate required for your tankless system, the next factor is the temperature rise the unit has to be able to provide. To determine the temperature rise for the tankless unit, you need to first find out the incoming water temperature. For this, you can just use a thermometer. Then subtract this temperature from the desired water temperature. For example, if your incoming water temperature is 50 degrees. The comfortable temperature level for hot water is around 105 to 120 degrees. So, for example, you want 105 degrees output. Subtracting the 50 degrees from 105 gives you a 55-degree rise.Knowing the maximum temperature rise your chosen tankless model can produce, will ensure that you won’t lose out on the water flow. If your incoming water temperature is lower, then there’ll be a higher rise and the water heater will need a higher capacity. With the total flow rate and temperature rise information, you can choose the right size of your tankless water heater. So if you have determined that you need a 55-degree rise and you have calculated the total need of 5 gallons per minute water flow (for example, two showers with 2.5 GPM rate), then look for a model that can provide such capacity. 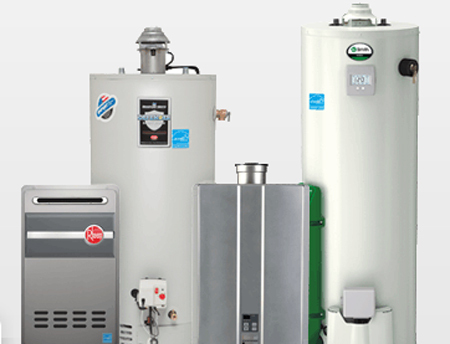 For water heater system, the two types available are tank system or a tankless unit. For tankless units, you can choose to have either indoor installation or have the unit installed outside your home. Between these two, how do you know which is the best for your usage and home condition? Compared to a tank system, both indoor and outdoor tankless water heater unit saves more space. But here are some important things you need to know before making the decision of which type of installation suits your needs best. Type of home – If you’re planning to install a tankless water heater system in your home, your home itself plays a significant factor. If you have an existing home, an outdoor unit may be more suitable because there’s not much need for many adjustments or fixing of the plumbing. If it’s a new house, you can opt for an indoor unit, as its installation will be incorporated. Space – In places such as Asia, the use of indoor tankless water heater system is prolific due to lack of space in housing areas. Apartment and condo units often have an indoor unit, as it won’t take up more space other than the heater unit itself. Unless you purchase a very specific design of a tankless unit to match the interior décor of your home and/or bathroom, it can look quite unsightly. So depending on the space you have as well as your budget, choosing an indoor or an outdoor unit would have to be a judgment call. Climate – Depending on where you live, an outdoor tankless water heater unit may be subjected to harsh weather conditions. If you live in a country with the winter season, your outdoor unit needs to have a heater and proper draining ability to avoid freezing. A tankless water heater system doesn’t require regular maintenance due to its common feature of using less energy during heating. However, there are several things worth remembering if you own a tankless unit. First and foremost, it’s important to make sure your unit was properly installed when you first got it. A qualified and experienced technician needs to install your unit according to safety as well as the manufacturer’s regulation. Proper installation will ensure no possible damage during use by the customer. 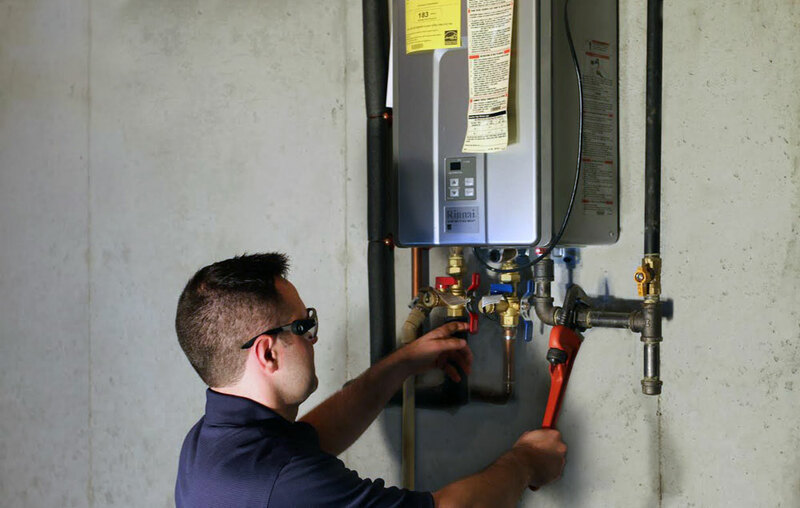 Here are some of the important things worth remembering when it comes to your tankless water heater maintenance. You don’t need annual maintenance – Many believe a tankless water heater system requires annual maintenance, but system experts for water heater advised there is no need for this. It’s good to know how long the warranty is for your tankless unit should any damage occur within a stipulated time of purchase, but you don’t have to schedule for maintenance for it. Water hardness is important – This depends on the quality of water you’re getting at your area. Water hardness is the percentage of compounds in the water. Different areas tend to get a different level of water hardness so if the water is harder at your area, then it’s more likely for the mineral to deposit in the water heater unit. When mineral deposit buildup in your tankless water heater, it can force the burner to raise its temperature in order to properly heat the water. In areas with hard water, your unit may require annual maintenance, but if you have soft water, your unit can be safe without any maintenance up to five years. Opt for scale detection software heater system – A scale detection software in your tankless water heater system will provide a message or an alert when your unit needs to be maintained. You can call the company for a technician, but the owner can also easily maintain a tankless water heater unit. When there is scale buildup in your unit, it needs to be flushed in order to clear the deposits. Cleaning kits are available online, but one of the best methods is to use white vinegar to flush the deposited materials. Because the usage of tankless water heater system is on-demand rather than it being on stand-by around the clock, the durability of the unit is pretty long. It’s a good practice to test for water hardness in your area so you’d have an idea when you should maintain your tankless unit. Rinnai. Rinnai was also founded almost hundred years ago but started manufacturing water heaters only about 50 years ago. 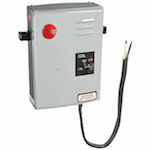 Their products you can also find in the lists of top rated tankless products. Their condensing technology results in much less energy use. The design and components are known for great durability. Depending on your needs, you can choose a model for indoor or outdoor use. The company also has provides the advantage of easily replaceable parts. As with any other appliance, proper maintenance should be followed. Then you might have the Rinnai water heater working for up to 20 years. Eccotemp. One more well-established company is the Eccotemp. This brand doesn’t have such a wide range of products as Bosch but specifies more in the tankless and on demand water heaters manufacturing. They offer different types, such as gas, propane, and electrical units. From this brand, you can also choose a good portable unit for your on-the-go shower needs. The products they produce are made of high quality components, the technology provides good efficiency, and the prices are usually quite affordable. Ecosmart. This is also another long runner in the water heating industry. Over their 50 years of experience has produced products that offer some of the best efficiency and green technology. Their goal of meeting the needs of customers has succeeded in producing some of the best tankless devices on the market. Their models have the lowest impact on the environment, emitting less harmful fumes into the air. 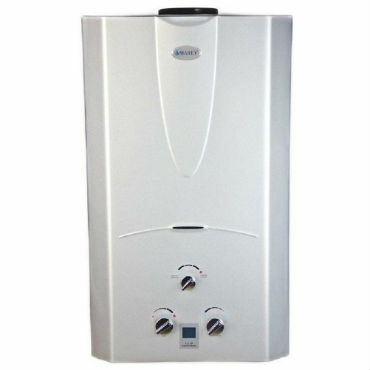 Choosing an Ecosmart water heater, you are sure to not be disappointed with all its advantages. Stiebel Eltron. This is a German company that is also boasting almost hundred years of experience. In their manufacturing line, they have a number of other products. However, on demand water heaters is their main focus. The design of this brand’s products is focused on using minimal energy, high efficiency and of course safety. Whatever your needs, you will find a suitable product in the Stiebel Eltron line of tankless water heaters. They also have a variety of types, such whole house or single use heaters. Bosch. One of the most popular brands that was founded in Germany. It has been providing a multitude of consumer goods, automotive and industrial technology since last century. Over the years, they’ve only gained a more admiring reputation for their advanced products. Into the tankless water heaters, they have integrated Thermo technology. It provides extra efficiency and adds to being more environmentally friendly. So what you get is good money saving on your utility bills, which can be up to 50 percent on the electricity bills. Their range of tankless products has sizes for different household needs. So you can pick your own. Navien. Navien is one of the newer brands that was established in 2006. Though new, it quickly became one of the leading manufacturers in this industry in North America. Their products are known for being very reliable due to the technology they use, robust due to good design, and 98 efficient. In addition to cutting energy costs, their products will also help to reduce NOx emissions into the environment. The technology they use ensures that you don’t have moments of cold water when showering. It keeps the water temperature stable with no fluctuations. Also, the Eco Burner technology was designed for eco-friendly operation. Noritz. This company has been on the U.S. and Canada market of water heating products for over half a century. They have the achievement of being the first to introduce the electric tankless water heater. As with other brands, Navien models will also help you save up on utility bills since their devices run on the same on demand principle. Rheem. Being on the market for almost hundred years, Rheem has been continuously working on improving their water heating products. 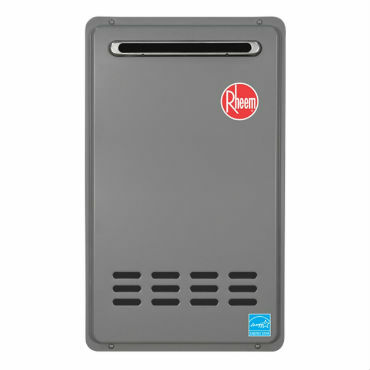 Rheem brand is the top choice when you want a worry free tankless water heater operation. They bring water heating solutions to both residential and commercial needs. Their line of products offers different capacity units, from small devices for very small water needs such as a single shower to over 9 gallons per minute flow. Takaji. Takaji is one of the first manufacturers of tankless water heaters. Their advantage is the 95 percent thermal efficiency rating and eco-friendly features. They are the first to design a direct vent convertible model. The Takaji on demand water heater line of full of diversity with different sizes for various household needs. Conventional water heaters can make up the third of your energy bill. So going tankless definitely provides you energy and cost saving as it works on demand and thus has considerably lower energy consumption. If you choose the appropriate model for your household, it can quickly pay off the investment. We hope our buying guide and reviews of the best tankless water heater models have helped you decide on which is the ideal one for your home. You can find more tankless water heater reviews based on their type or brand on the other pages of our site. Here, you can also find out about some misconceptions about tankless water heaters.